This spacious 3 bedroom 2.5 bath townhome with one car garage and 1820 sq. ft. of living area. Wonderful family home in a quiet, gated community with lots of amenities. 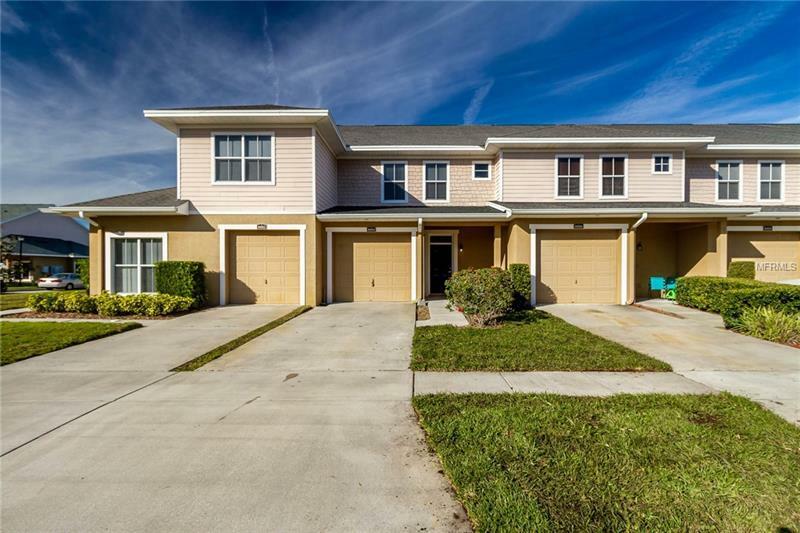 This townhome features a large great room with French doors opening to the screened lanai, a dining room area, a lovely kitchen with granite counters, and a half bath all downstairs. Upstairs is the generous master bedroom with its walk-in closet and bathroom, plus two more nice sized bedrooms (one of the second bedrooms has its own walk-in closet! ), a second full bathroom plus an upstairs laundry room. Freshly painted throughout. Brand new carpet and brand new granite counter tops in kitchen and bathrooms. This home even has its own one-car garage with an opener! This private, gated community features two separate swimming pools -- one just around the corner from this home --and playground, a dog park, several scenic ponds and nature areas. Conveniently located near I-75, I-4 and Hillsborough Avenue. Building Name Number: 8004 DOWN ROYAL CT.
Pet Restrictions: BUYER TO VERIFY WITH MANAGEMENT COMPANY.